No matter how much you try, you will not succeed in hating yourself into some altered version of yourself that you could love. There are times when I can be really horrible to myself(I am sure you can be too) and persistently end up comparing myself to others. It doesn’t matter how many times I may hear that I am good enough or lovable. There have been past occasions when I painstakingly looked for evidence that I wasn’t worthy or that I didn’t deserve to be loved. There can be a lot of pressure to measure up in our society. We often feel as if there is something inherently wrong with us if, for example, if we don’t make a certain amount of money, we’re still single by a certain age, don’t have a large social network, don’t dress the right way, or don’t look and act a particular way in the public eye. This list could go on and on and on. Sometimes in the midst of all the pressure, I seem to totally forget all the wonderful, unique things about myself. So I would like to share 12 things that you could tell yourself when you think you’re not good enough. “I am grateful for all I have been given.” Gratitude is a powerful tool in life. Far too often we tend to look at what we want and what we don’t have or we are envious at what others have. We forget to be grateful for all that we have in life. “I am not defined by anyone else.” It is easy to lose sight of oneself when we are defining ourselves by the successes of others. You are unique and special all on your own. “I do not need to define myself by my past.” We all make mistakes in our past. Bad things happen, but we do not need to let them ruin our lives or even our day. You are not your past, although your past is you. “The future is whatever I decide it will be.” You are not stuck in your life. The future has not yet been written. You can make your life whatever you want to make your life. What has happened prior is not important. “I AM good enough.” Life might put you down, but it doesn’t mean you must put yourself down too. You ARE good enough! “My inner critic is only my doubt and fear getting the better of me, but it’s not true.” This is an important one. We all have that inner critic. But just because it is there, doesn’t mean we have to listen to it! “I know in my heart I do the best I can.” If you know you do the best you can, who cares what anyone else thinks. “I am enough.” When you can honestly say to yourself that you ARE enough and you don’t need to be any more than you are, that is a beautiful place to be in life. The truth is you are special the way you are. Now go show the world! “I’m not perfect, but I like who I am.” No one is perfect and that’s a good thing. If we were all perfect, we’d all be exactly the same. It is our imperfections that make us unique. “Beating myself up isn’t going to make my life better.” You can be mad at yourself all you want, but beating yourself up isn’t going to make anything better. Focus only on the solution and let go of the problem. “Just because I’m around negative people doesn’t mean I have to be negative too.” Remember you are not defined by other people in any way. That includes their attitudes and thoughts towards you or others. Sometimes it can be difficult to disassociate your unhappiness from theirs, but it’s important to keep yourself tucked safely within your own box and not allow yourself to own other people’s negative feelings. “I have everything I need and I am thankful for what I have.” Even when the going gets tough we can all sit back and be thankful for all we do have. Even when things don’t work out, sometimes it is for the best. So don’t forget, you are enough just as you are. Self-love will become easier every time you remind yourself about this list. And no, it is not easier said than done. Self-love takes practice. YOU ARE GOOD ENOUGH. YOU ARE WORTHY. 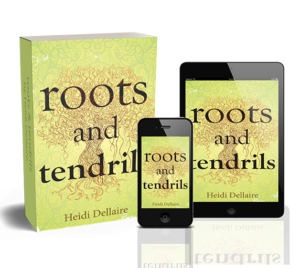 You can purchase Heidi’s book Roots and Tendrils at Amazon. It’s a poetic journey through the highs and lows of all that love brings. 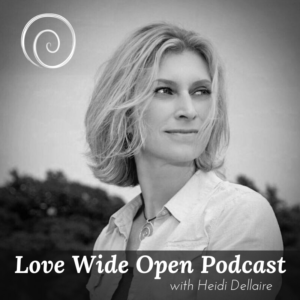 Heidi is the founder of Love Wide Open. She is a Heart-based Thought Leader, Alternative Healthcare Therapies Practitioner/Coach, Intuitive Healer, Licensed Massage Therapist, Registered Ayurvedic Practitioner, Heart Space Coach, Entrepreneur, and the Managing/Publishing Editor of LoveWideOpen.com. She is also the author of Roots and Tendrils, a collection of love poems. In her late thirties, Heidi began to feel a disconnect between her corporate job and her heart. This disconnect racked her body with illness and pain. This began the start of her spiritual journey to heal herself, rekindle her passions and inspire her to use her gifts to heal others. She pursued a career in alternative healing modalities and holds certifications in massage therapy, craniosacral therapy, Reiki, Ayurvedic Medicine, Healing Light Therapy and Heart Space Coaching. 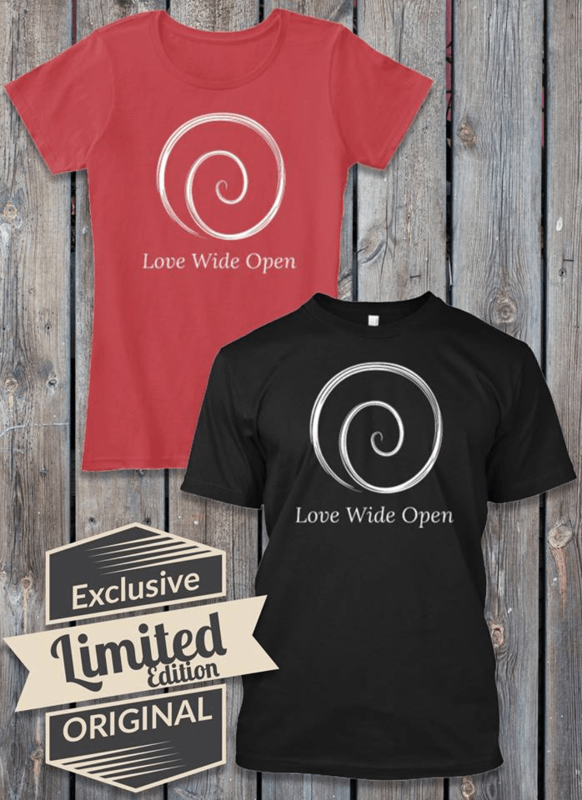 She has a gift for connecting people back to their hearts through her healing work at Blue Owl Bodyworks(her private practice in Maine) and through her writing and inspirational posts at Love Wide Open(Facebook, Instagram, Twitter). It has been Heidi’s mission as a small child to treat every living thing with love and compassion. She is now spreading that gift of love out into the world by simply speaking and living her truth through vulnerability and by leading with an open heart. She’s a modern day love slinger. You can also check out the About Section for more info. 10 Ways to Start Taking Better Care of Yourself Today!